Chicago's filthiest trio marches out of the sewers of hell with 12 freshly-severed slabs of death metal. 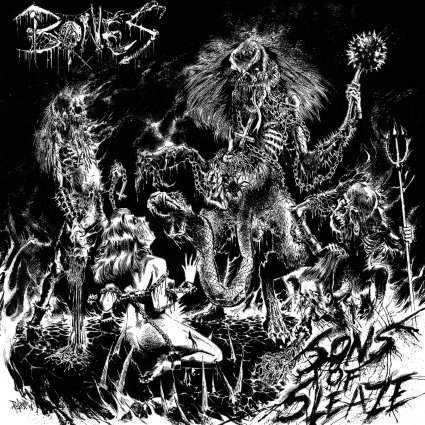 BONES is back with Sons Of Sleaze, the follow up to their 2011 self-titled release. Recorded with producer Sanford Parker (LAIR OF THE MINOTAUR, NACHTMYSTIUM).